Sheri Griffith River Expeditions has always been a company focused on family togetherness. 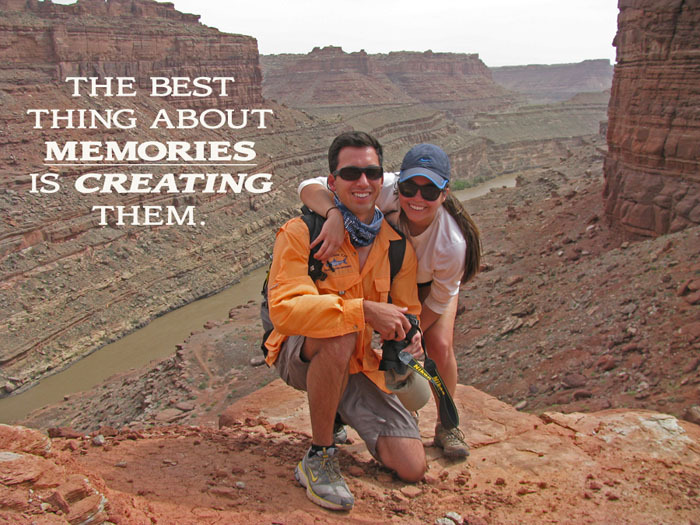 Sheri started running rivers with her family in the 1970s, before opening a whitewater rafting company in Moab that was focused on safety, high quality and family fun. Later, long time employees Jose and Arlo Tejada took over the operation of the business, carrying on the same goals and values that Sheri established. Over the past 5 years, family has become even more important as Arlo has battled cancer, and our extended family has come together to support him. This year, we welcome Emma Tejada, Jose’s daughter, to the Sheri Griffith River Expeditions family. In recognition of the importance of families of all kinds, we at Sheri Griffith River Expeditions want YOU to have the best Family Vacation Possible in 2014. Sheri Griffith River Expeditions understand how difficult it can be to plan and pull-off the perfect vacation. We have spent many years working out all the “kinks” associated with river vacations. Once you are on the river with us, we handle all of the day-to-day concerns so that you can relax and enjoy the time with your family. No cell phone or television interruptions, no soccer games or ballet practice, no running to the store, no meetings, no distractions. Just time to play, explore and build stronger family bonds. We are so sure that you will LOVE your vacation with Sheri Griffith River Expeditions that we will GUARANTEE IT! If you don’t have a great time with your family while on one of our vacations, we will refund the price of your rafting trip. 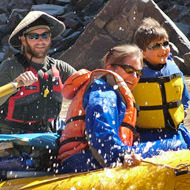 Our signature family rafting trip in Utah is the 5 day/4 night “Family Rafting expedition on the Green River. This great Utah river rafting vacation offers exceptional bonding opportunities, plenty of moderate yet fun whitewater for children ages 5 and up, charming campsites on sandy beaches, stunning geological features and ancient and recent Western history. This Green River rafting adventure begins with a scenic flight to the launch site! What are our Goals for your family Your family gets a refreshed escape with an easy, no hassle vacation. The kids will not stop talking about their favorite guide. And you are the hero of the PERFECT vacation.